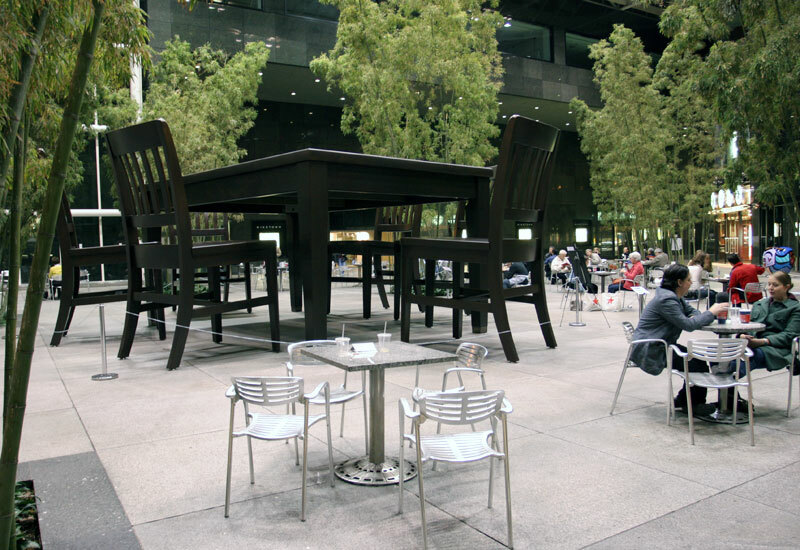 Robert Therrien: Table and Six Chairs is a single, monumental sculpture by Los Angeles-based artist Robert Therrien. No Title , 2003 (Table and Six Chairs) is a colossal table-and-chair set that stands almost ten-feet-high, so tall that viewers can easily walk beneath it. 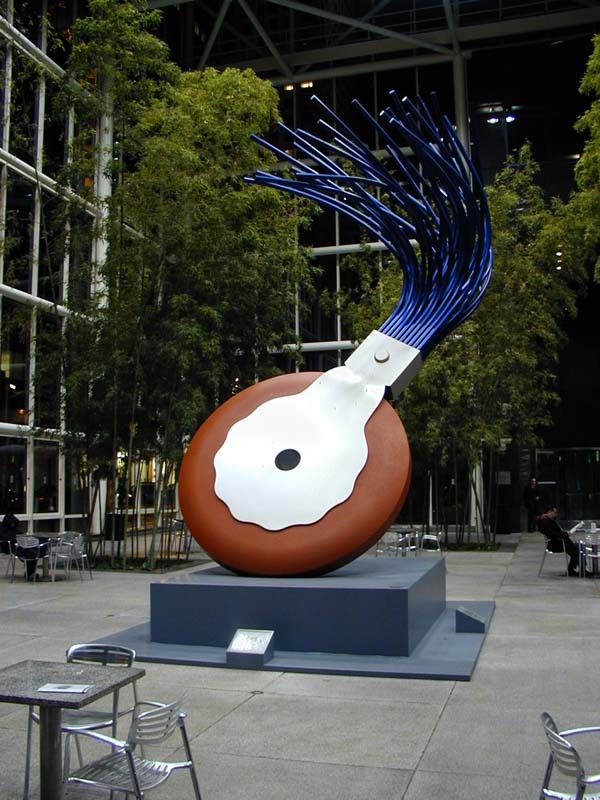 Sculpture in the atrium of the IBM building, November 2005. 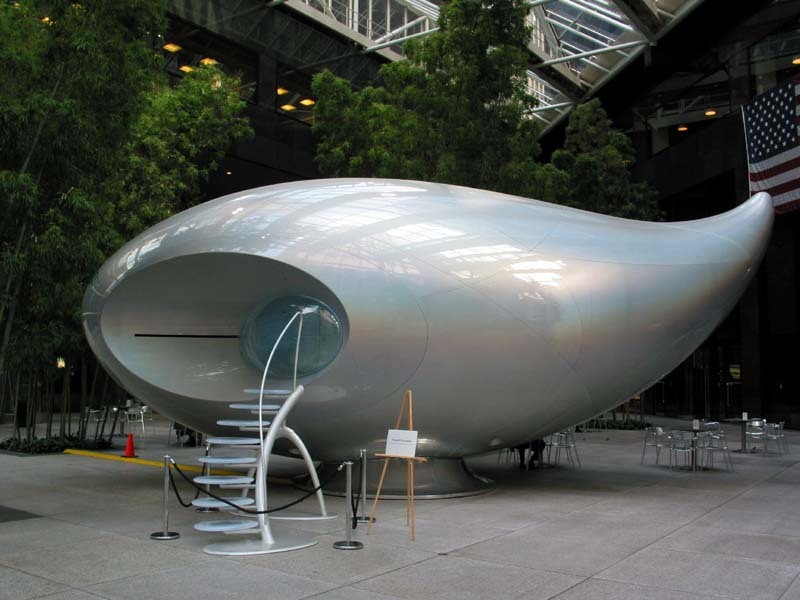 Mariko Mori’s Wave UFO. Sculpture in the atrium of the IBM building. July of 2003. Oldenburg/vanBruggen. Typewriter Eraser, Scale X. 1989-99. Stainless steel and resin painted with acrylic urethane. Sculpture inside IBM building. January of 2002.